For Kids Cooking Lessons 1, you will be trying various main dish recipes. There are several lessons within this lesson. Try a different meat dish each time to allow more experience in cooking a variety of meat. Such as chicken dishes, hamburger dishes, pork, fish, etc. Pick whichever recipe you would like that is a main dish or meat dish. We have a few examples for you if you need some. If your family doesnt eat meat, then practice some vegetarian main dish recipes. Place a chicken breast between two sheets of waxed paper. Beat chicken flat with tenderizer or meat mallet. 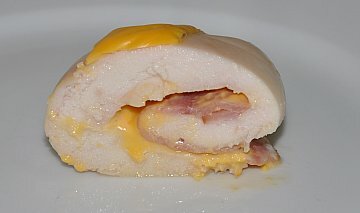 Place a slice of ham and a slice of cheese on top each chicken. Roll up and secure with toothpicks. Place in baking dish. Mix soup and sour cream together and pour over top of chicken. Marinate several hours. Cook at 350 degrees for 30-40 minutes, until chicken is no longer pink. Combine brown sugar, cinnamon, soup, Worcestershire sauce, peach juice and water in a bowl. Stir together. Place pork chops in crock pot and pour mixture over top. Layer peaches over pork chops. Cook 4-6 hours on high. Brown and drain ground beef. Add seasoning mix and water and simmer. Form crust with dinner rolls in pie plate. Dont separate crescent rolls just roll out into a crust. Sprinkle crushed corn chips on top of rolls. 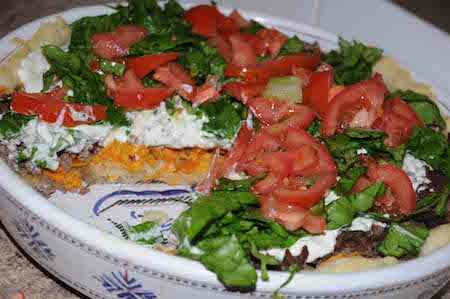 Add meat and spread sour cream on top. Sprinkle with cheese. Bake 20-25 minutes at 375 degrees. Top with lettuce and tomatoes and serve with taco sauce. Continue learning and experimenting with more basic kids cooking lessons dinner recipes. Try some of these main dish recipes that have 6 or less ingredients.